Wi-Fi-AC has been established as a solution for high-speed wireless connections that can take full advantage of fast internet services, flawlessly stream HD video or simply browse the internet as reliably as a wired connection. With the development of new technologies, we’re also seeing new routers that take full advantage of this protocol and offer features to the average user that until some years ago were exclusive to business owners and professional users. The ASUS RT-RT-AC68U is a good example of this and we’ll tell you why. Think about everything you need from a router, and the ASUS RT-AC68U does all that and much more. Hardware-wise, it is flawless; its design is beautiful and has many great features. Without a doubt, it’s one of the best routers anyone can get, as well as one of the most complete. ASUS’ RT-AC68U features a dual-core processor (ARM) that makes it a very fast and powerful router. It also has 128MB of Flash memory, offering an excellent ROM, and 256MB of RAM so it multitasks commendably. Its hardware is comparable to a high-end modern NAS. The Internet has become essential in our homes and has opened up a world of possibilities. We can use it for work, play, learn and enjoy multimedia content, among many other things. Wi-Fi access has allowed to comfortably bring Internet to every corner of the House, but the result was not always all that should be satisfactory. Dead or poor reception areas and low speeds are some of the most common problems that we are facing trying to convert our home in a "multimedia world” completely wireless. D-Link is aware of these problems which, ultimately, end up affecting the user experience and prevent us from fully enjoy Internet. Therefore, the well-known company has decided to bet on its new range of products by technology WiFi AC, a standard that offers speeds of 1.3 Gbps and can operate in the 5 GHz frequency, much less saturated than the 2.4 GHz band. D-Link has decided to update their routers and internet adapters with the new Wi-Fi AC technology. This new standard offers an increase in speed and quality of the connections, since it works with a band width of 5 GHz exclusively, which is less used than the 2,4 GHz common one, something that will reduce saturation of the network. Also, it is designed to support a higher number of devices connected to the same Wi-Fi connection. The new devices from D-Link are the routers D-Link Wireless AC1750 Dual-Band Gigabit Cloud Router, D-Link Cloud Gigabit Wireless AC1200 Dual-Band, D-Link Cloud Gigabit Dual-Band Wireless AC1200 (DIR-850L) and the router Cloud Dual-Band Wireless AC750 (DIR-810L).Also, the internet adapter USB D-Link Wireless AC1200 Dual Band (DWA-182) will be released to update our computers to this new Wi-Fi AC technology. 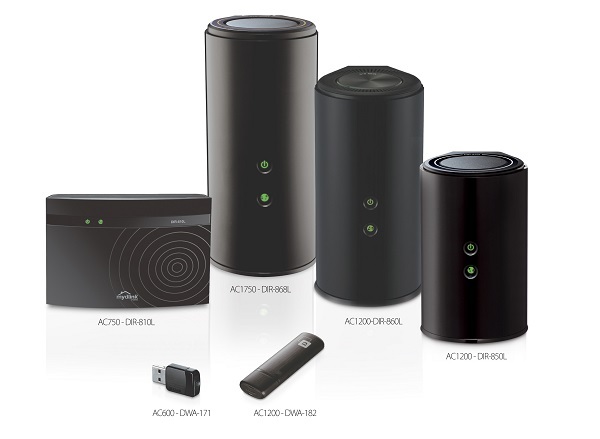 The new routers from D-Link feature the new Wireless 802.11ac standard, which is designed to greatly increase the performance of the connection, since it works exclusively in a band of 5 GHz. Currently, most devices we use at home to connect to the internet use a 2.4 GHz band, which is shared with other devices, like mobile devices, wireless phones or remote controllers. This creates a higher number of interferences. Also, the previous protocol, the Wireless 802.11n, is not designed to support many devices connected to the same network, which translates into slow, saturated connections. The Wireless 802.11ac works with a higher number of devices and reaches higher speeds by assigning a greater band width to each device. For example, the most powerful router of the series, the D-Link Wireless AC1750 Dual-Band Gigabit Cloud Router, reaches speeds of up to 1.300 Mbps in the new standard (faster than the speed you can get from an Ethernet wired connection). The most balanced models, like the D-Link Cloud Gigabit Wireless AC1200 Dual-Band and the D-Link Cloud Gigabit Dual-Band Wireless AC1200 (DIR-850L) reach speeds of up to 867 Mbps. 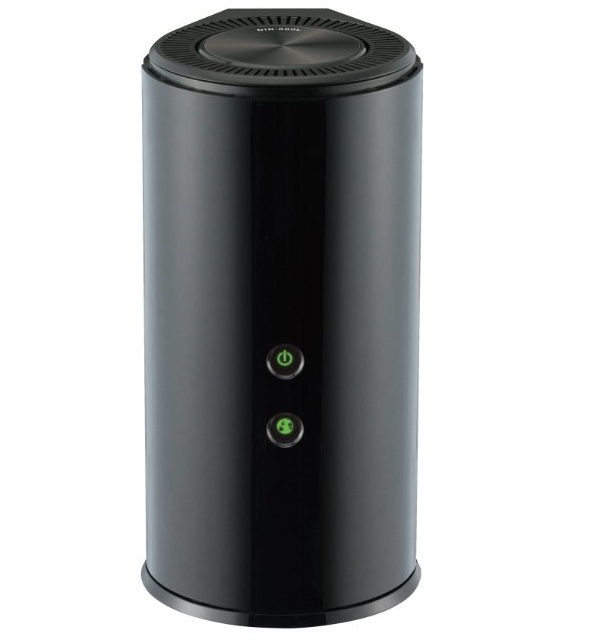 Finally, the most affordable model, the Cloud Dual-Band Wireless AC750 (DIR-810L), reaches speeds of up to 433 Mbps. Along with the benefits of this new standard, D-Link’s routers feature other technologies to improve the performance, like, for example, the internal antennas that send the Wi-Fi signal directly to the connected device, so it doesn’t spread anywhere else. There’s also mydlink, D-Link’s online platform, a tool to control and manage our network from anywhere (computers, tablets, laptops or mobile phones) with an internet connection. Lastly, D-Link’s routers feature a USB port to connect an external memory or hard drive and access their contents remotely from any device connected to the network. D-Link has also released a USB adapter to connect every device of ours through the Wi-Fi AC standard, with the use of a compatible router. The price of D-Link’s routers range from 210 dollars for the most advanced model, the D-Link Wireless AC1750 Dual-Band Gigabit Cloud Router, 160 dollars for the D-Link Cloud Gigabit Wireless AC1200 Dual-Band, 100 dollars for the D-Link Cloud Gigabit Dual-Band Wireless AC1200 (DIR-850L) and 100 dollars for the Cloud Dual-Band Wireless AC750 (DIR-810L). Finally, the USB adapter DWA-182 costs 60 dollars .